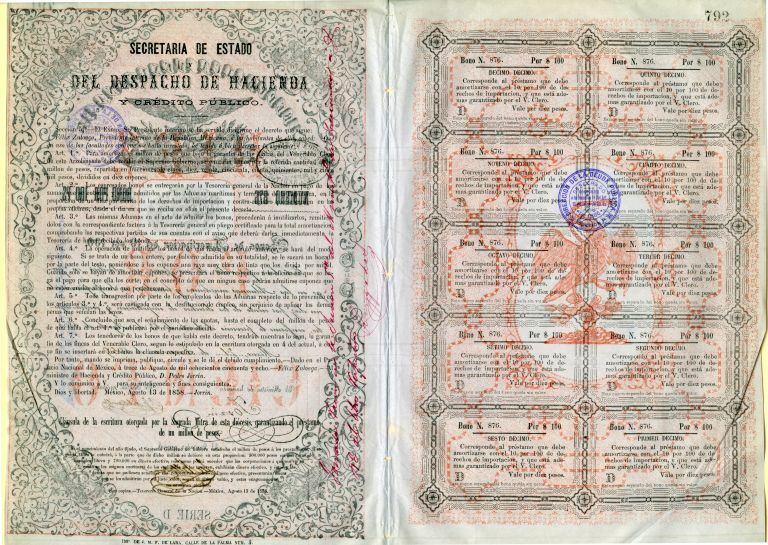 Beautiful Mexican Eagle Aguila $100 Bond from Mexico issued in 1859. 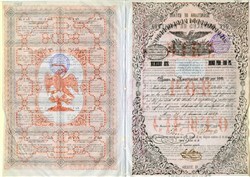 This historic document has an ornate border around it with a vignette of an eagle with a snake and has been hand signed. This item is over 154 years old.